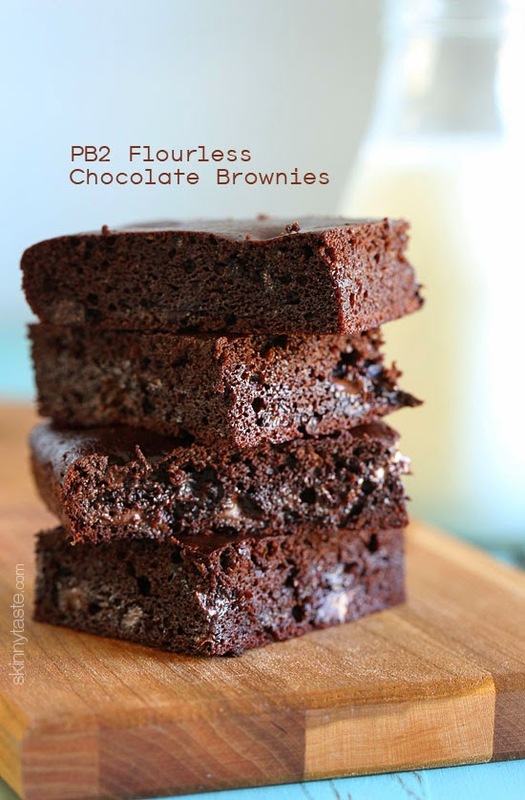 PB2 Flourless Chocolate Brownies, made with PB2 (powdered peanut butter) instead of flour plus cocoa powder, raw honey and chocolate chips – gluten free, moist and delicious, you won’t believe they’re only around 130 calories each! My husband and daughter love when I make a a new batch of brownies. 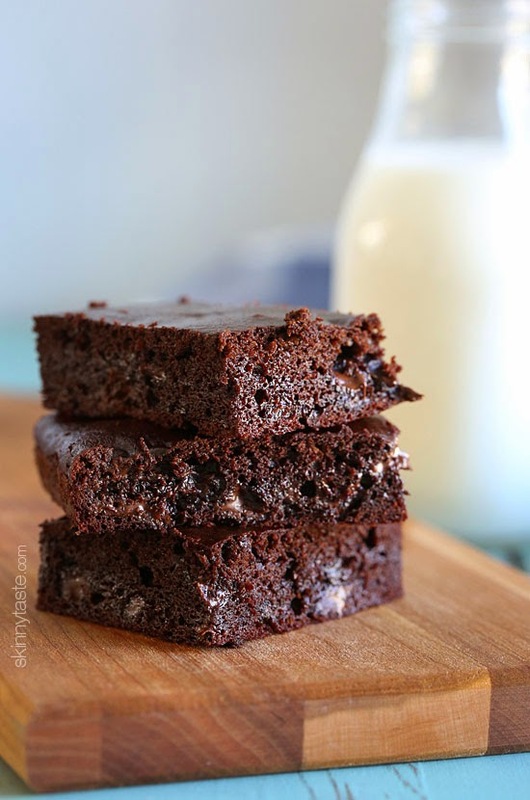 Some of their favorites are Cheesecake Brownies and Flour-less Brownies. I’m not a baker. Baking is an edible science that requires accuracy and precision. It requires the perfect balance between flours, leaveners, fats, and liquids. When I bake, I feel more like a mad scientist because I break all the rules. So when something actually works and turns out awesome, I’ll be honest, I’m often surprised! 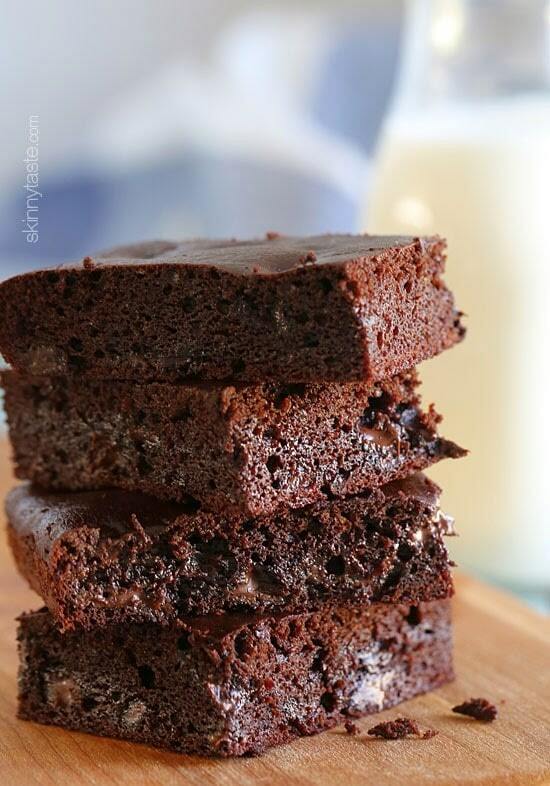 These brownies are the perfect example – no flour, no oil or butter, but they are amazing (happy dance)! And the best part, you don’t need a fancy mixer. I mixed this all by hand in a large bowl with a whisk and a spatula. 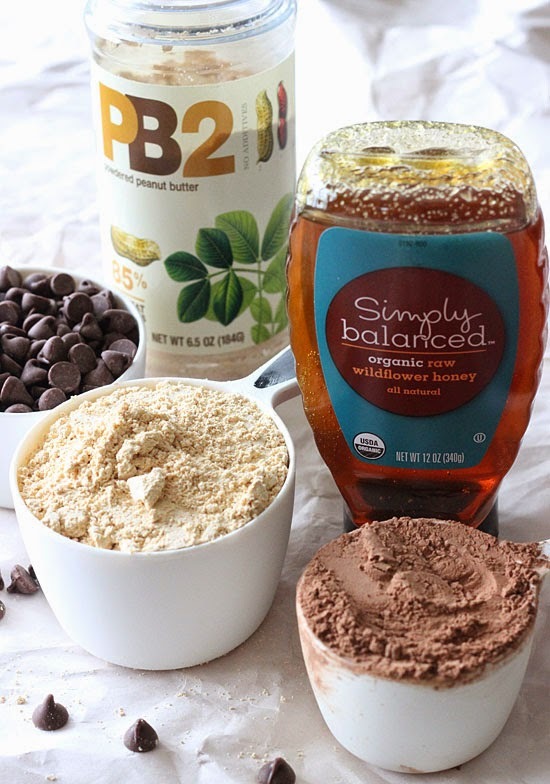 If you’ve never heard of PB2, it’s basically a powdered peanut butter with 85% less fat. You add a little water to make it a spreadable peanut butter. I personally prefer real peanut butter if I’m spreading it on toast, but for baking and adding to smoothies, PB2 is excellent. I used to buy it on Amazon, but now I see it in my local supermarket. Here’s the Amazon link if you can’t find it near you. The texture is somewhere in between a chocolate cake consistency and a fudgy brownie, they really hit the spot if you’re craving chocolate. 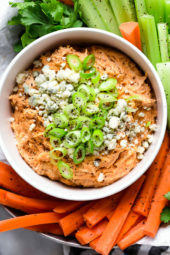 They also happen to be gluten-free, and if you use dairy-free chips they can be dairy-free as well. If you have nut allergies however, these are not for you. 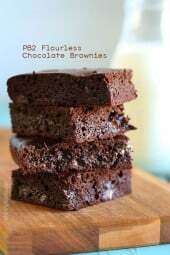 But my other brownie recipe called: Amazing Flourless Brownies are your nut-free answer. Those are made with black beans instead of flour but I swear, you’ll never know! Both recipes are great yet different. Curious to see which you like best! Spray a nonstick 9 x 9 inch baking pan with cooking spray. 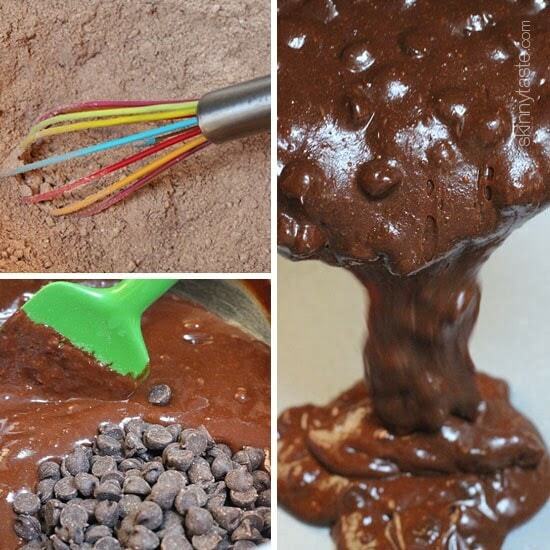 In a large bowl combine the PB2, cocoa powder, salt, baking soda and mix well with a spatula. Add the egg and egg whites and stir. Add water, honey, vanilla and stir with a spatula until combined. Pour the mixture into the prepared baking pan and bake about 30 minutes. Set aside to cool, then cut into 12 bars cutting 3 rows x 4 rows. 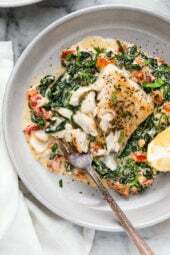 Any idea if this recipe would work if doubled? They are amazing!! It was tough not to eat them all.. how do you store them? Fridge? On counter covered with foil? 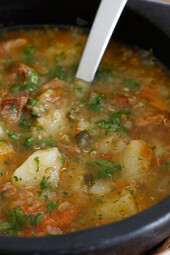 Made these today – really good flavor and texture! Definitely will make these again! Thank you! Loved these! Expected peanut butter taste to be more prominent due to amount of pb2 but all I tasted was chocolate- which was fine with me! So easy to make but won’t go overboard eating them as they still contain 20g of sugar per serving. So delicious! Cake-y yet moist. Only a hint of peanut butter flavor. We LoVeD these!